ViMark is the latest addition to the OC3D motherboard testing process and a relatively new benchmarking application in general. Designed to take the inaccuracies and guesswork out of measuring the time taken to encode video files, ViMark produces easily comparable and consistent results for encoding Windows Media, Quicktime, AVI and Gif files. 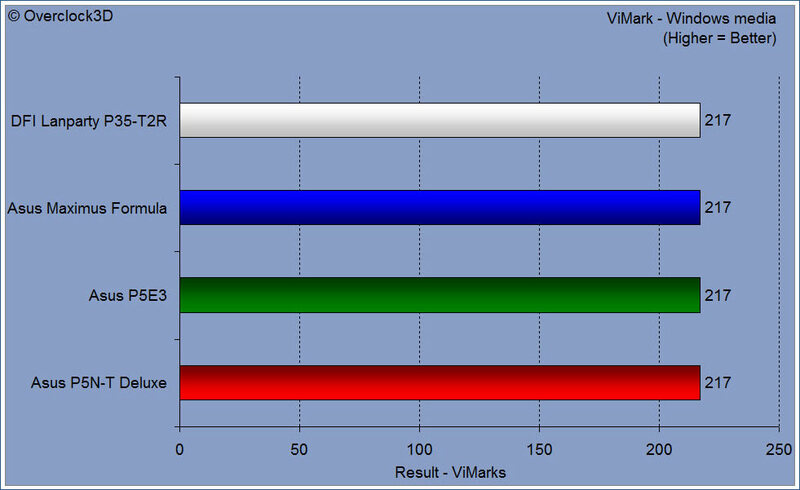 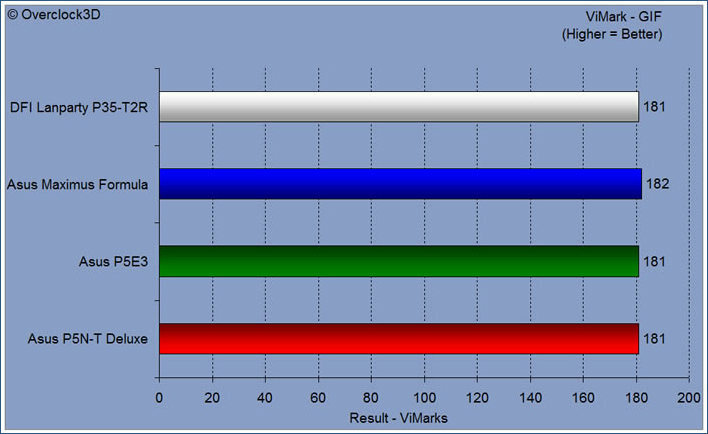 The encoding ViMark results bring out the 780i P5N-T Deluxe on an equal par with all of the other boards. Again 7Zip is a slightly mixed bag of results with the P5N-T Deluxe. 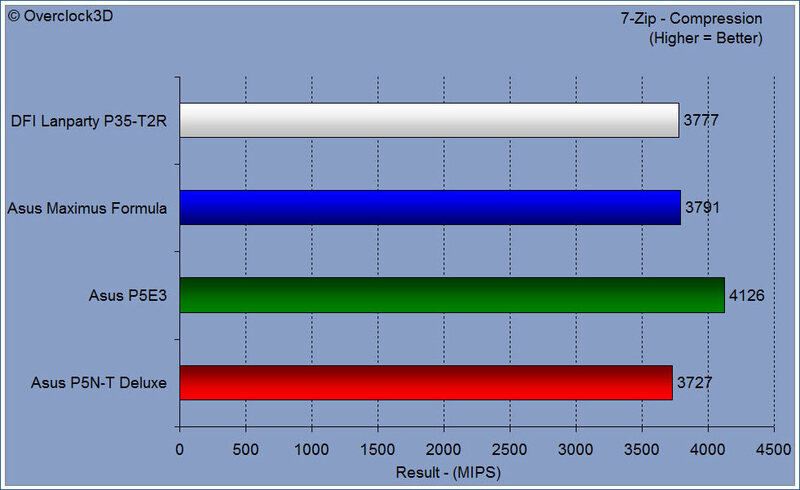 One result is down on the other board but generally the P5N-T Deluxe is in the mix with all of the other boards featured.